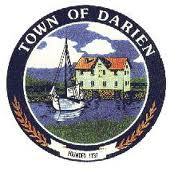 The most accurate Darien town map available online. Situated between the small cities of Norwalk and Stamford, the town is a bedroom community with relatively few office buildings. Most workers commute to the adjacent cities, and many also work in New York City. Two Metro-North railroad stations – Noroton Heights andDarien – link the town to Grand Central Terminal and the rest of the New Haven Line. For recreation, the town includes four small parks, two beaches on Long Island Sound, four country clubs, a hunt club, and two yacht clubs.